A quick view of the most influential metrics in Lake Sunapee. 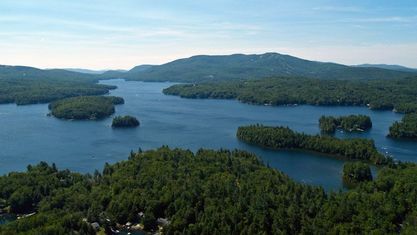 Lake Sunapee is the 5th largest lake in the State of New Hampshire. The lake is approximately 10 miles long and 2.5 miles wide and covers an area of 6.5 square miles or 4136 acres. Depths reach 140’. There are eight islands and several peninsulas and lake fingers which yield to a total shoreline of some 70 miles There are seven sandy beach areas, some with restricted town and public access. There are six boat ramps to access the lake at Sunapee Harbor, Georges Mills, Newbury and Mt. Sunapee State Park, Burkehaven Marina and a private marina. The lake contains three lighthouses on the National Register. The driving distance around the lake is 25 miles. There are approximately 1100 homes on the lakeshore and eight communities that offer shared access to private shoreline. In addition – boatslips can be rented or purchased in three harbors. The Towns of New London, Newbury and Sunapee all have shoreline on Lake Sunapee. Contact Pam Perkins or call 603.526.8500 for a tour of all that Lake Sunapee real estate has to offer! View our selection of available properties in the Lake Sunapee area. Check out the latest demographic information available for Lake Sunapee. 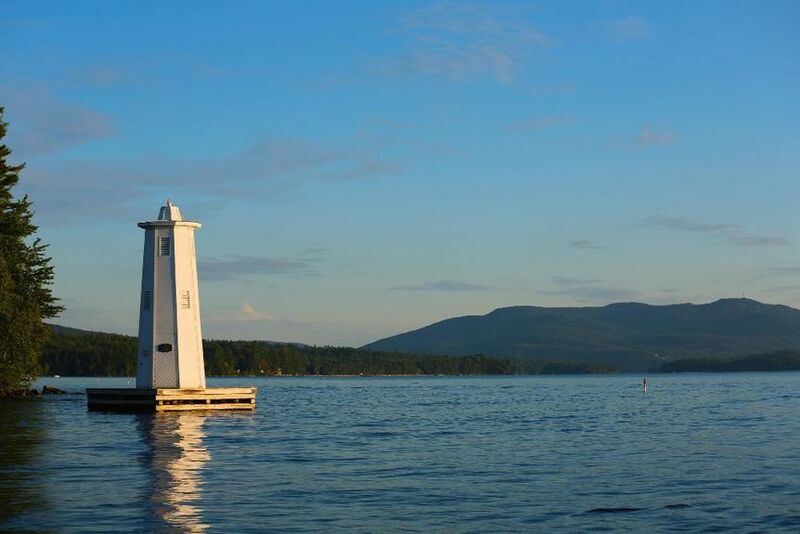 Get to know Lake Sunapee better with our featured images and videos. Learn more about schools near Lake Sunapee complete with ratings and contact information. Browse through the top rated businesses in the most popular categories Lake Sunapee has to offer.